This week, the Chinese Communist Party (CCP) celebrates its 90th anniversary, a milestone their Soviet counterpart never achieved. 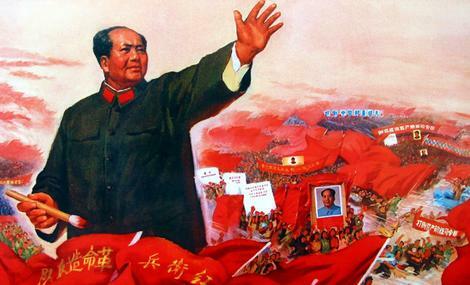 There will be parades with smiling children and banners exalting the virtues of Chinese Communism. Their success at building the world’s second largest economy will be trumpeted and their pride in one of the largest economic growth rates will be proudly hailed. Indeed the Chinese Communists will be celebrating what appears to be not only a successful past, but a bright future. This will be the narrative of the main stream media, yet as is often the case it will be disingenuously selective in its perspective. Buried deep in the coverage will be mention of how the Chinese Communist Party has held on to power when its older siblings in the Soviet Union and Eastern Europe are now on the ash pile of history. The true nature of the Chinese Communists was demonstrated in June 1989, the same time when European Communism was falling. The Soviets under Mikhail Gorbachev when faced with massive popular unrest reacted by implementing democratic reform and learned a truism of history, when people are given freedom they will seek more. In two years the Soviet Union was a failed chapter in the history books. 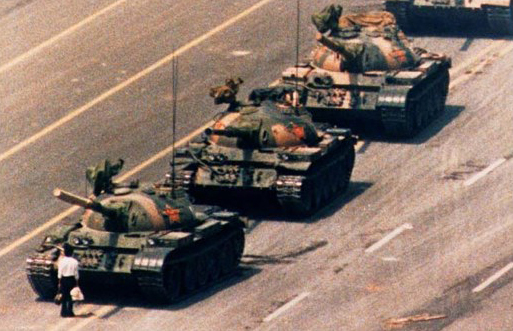 The CCP did not emulate their European comrade’s mistake and reacted to the prodemocracy protests with the traditional tools of totalitarian dictatorships, they sent in the tanks. 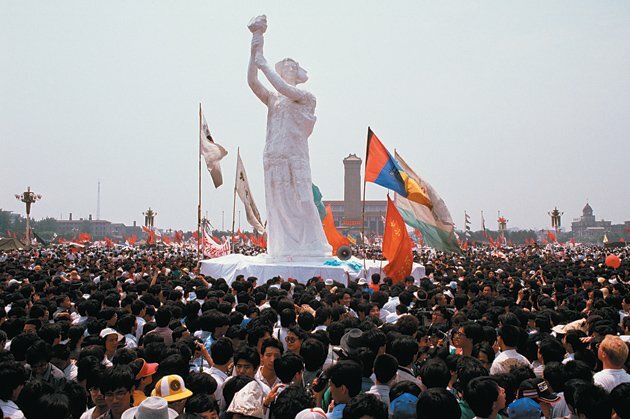 Few of us who are old enough to have lived through that day will forget the images of the tanks arriving in Tiananmen Square where hundreds of thousands of protestors had gathered since April of that year to peacefully demand democratic reforms for the Chinese People. Today’s celebrations in that very Square are certain not to contain the 10 meter tall Goddess of Democracy created from wire, foam and paper mache by student which came to symbolize their desire for freedom. It is unlikely we will ever know how many people died that day, official government numbers were 241 and said to be mostly soldiers supposedly killed by those dangerous unarmed student protesters. The Red Cross initially reported 2,600 dead and countless wounded. Graphic video surfaced showing the effects tank tracks can have on unarmed protesters. While the Chinese Communist Party will flood the streets with protesters chanting of the greatness of modern China; the real symbol of the strength of the Chinese people is a single solitary man, who had been walking home with a bag in one hand and a packsack in the other who stepped out onto the streets alone and simply stood before the advancing tanks, moving when they move, and stopped them. He was later identified as 19 year old Wang Weilin whose fate has never been determined with certainty, however it has been reported he was executed 14 days later. Twenty years later we are bombarded by the media’s message of a Chinese economic miracle and the inevitability of China emerging as the largest economy in the world. Indeed the west has been a willing participant in china’s development with massive technology transfers by companies like General Electric who just this January contributed its global avionics business into a joint venture with a Chinese state controlled firm (GE’s Chairman Jeffrey Immelt is also Chairman of President Obama’s Economic Recovery Advisory Board). In doing so GE is working to build the Chinese aerospace industry in the naive hope of securing short term sales in china, a goal western firms are finding increasingly difficult. One can only imagine how much of the avionics technical knowhow being given to the Chinese Communists will ultimately find its way to the new Chengdu J-20 Fifth Generation Tactical Fighter which according to reports from the CIA rivals the performance of our own F22 Raptor. Yet much of the credit for China’s economic miracle has to go to the everyday westerner who enjoys the $600 iPad without consideration to the Chinese workers who live in near prison conditions in factory towns to produce cheap export goods fueling China’s economy. Maybe it is time for individual western citizens and corporations to take a look at how their own actions are impacting others in the world. It is far from clear what the future holds for Chinese Communism and the impact it will ultimately have not only on the Chinese people but on the world. Those maps of China on the parade floats today show the island of Taiwan as part of China, something the people of that free island reject out of hand and should China attempt to impose communist rule on Taiwan by force the free world would be obliged to stop any communist aggression. At that point western technology transfers will seem even less well considered than they do today. Yet perhaps the biggest challenge to the rule of the Chinese Communist Party comes from the aspirations of the Chinese people themselves. Once a nation tastes the fruits of economic freedom, the aspirations for political freedom are hard to contain. What the Communists do not understand is that free markets go hand in hand with individual and political freedoms and are over time inseparable. History has shown us that once a people taste freedom, no totalitarian regime can deny them for long.